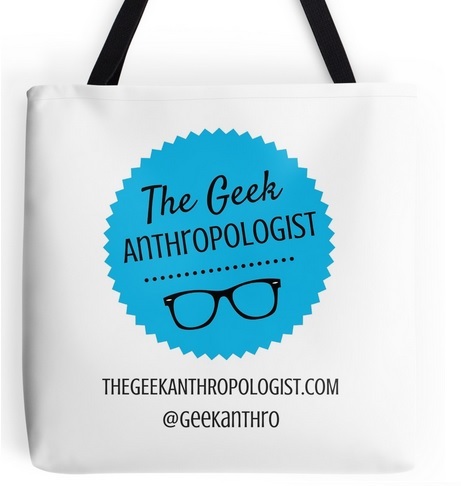 <So You Want to Write for The Geek Anthropologist? Over the past several days, the anthropological community has been forced to confront instances of abuse, exploitation and discrimination latent in the discipline. A tweet from Cultural Anthropology asking, “Are there things you wish you could say in/about our discipline, but fear professional consequences?” ignited a candid series of disclosures regarding the pervasive whiteness of old-school anthropology, issues of mental health and safety during fieldwork, and the erasure of BIPOC scholars. Meanwhile, on Wednesday, our colleagues at Footnotes published an anonymous letter written by former HAU Staff alleging the personal misconduct of HAU’s Editor-in-Chief, detailing the ways he harassed, assaulted and financially exploited staff at the publication. HAU was launched in 2011 as an open access journal precisely to counteract the economically prohibitive model of most academic publishing, where articles are stuck behind paywalls. Despite the potential of such a venture, HAU is now being folded the University of Chicago Press and numerous HAU staff and board members have quit the publication, citing the untenability of the Editor’s behavior and the toxic work environment he engendered. In short, anthropology is reckoning with its own #metoo, marshaled under the hashtags #hautalk and #anthrotwitter. Given the significance of the moment, and the conversations it has sparked in the anthropological blogosphere (our people), we thought it was important to explicitly join the fray in the destabilizing efforts. Our status on the periphery (whether real or imagined) has meant that we have long leaned into disruption of the discipline under the radar. We’ve chosen to forego sponsored posts—we do not accept money from corporations or organizations seeking to advertise with us. When last approached for such a venture, we instead used it as an opportunity to highlight the problems ofcapitalism in the geek community. We strive to work with new students and advanced academics to devise new pedagogical strategies, updated learning models, and advice on making it on a college campus (virtual or otherwise). We use anthropology to call out instances of neo-colonialism, xenophobia, and appropriation through the guise of science fiction, fantasy, the extraterrestrial. We also hold toxic systems of power to account—whether through geek or academic gatekeeping. The call was always coming from inside the house. Over the years, we’ve tried to cultivate a team that practices empathy, with the recognition that fieldwork can be taxing, personal lives are always already imbricated in professional ones, and emotional labor exacts its own costs. We have also worked to be a testing ground for new ideas, concepts and areas of inquiry across the world and intellectual spheres, often with subject matter considered too pedestrian for the old-guard of mainstream ethnography. But the problem with virtue signaling is that it often leaves no room for the imperfections. And in this moment, it’s also important to note that we are still working towards the inclusive, diverse, radical platform first envisioned in 2012. As an editorial staff, we have and will remain to serve as the outpost of the alien and the alienated, ready to give voice to the stories yet untold or ready to be told in new ways. We remain unfunded but dedicate our free time to help writers actualize their products, which are available and accessible without cost as an open access platform. Writers retain ownership of all their work. We stand in solidarity with the numerous anthropologists and platforms calling the discipline to account. We promise to hold space for recommendations and criticisms about how we can be better in actualizing our vision of online publishing and communication, recentering and reconfiguring the structures of power and the people who give voice to contemporary ethnography. Furthermore, in addition to accepting writing from geeks and anthropologists around the world, particularly those for whom English is not their first language, we welcome applications to the editorial team, particularly as we work to be a more representative leadership cohort.